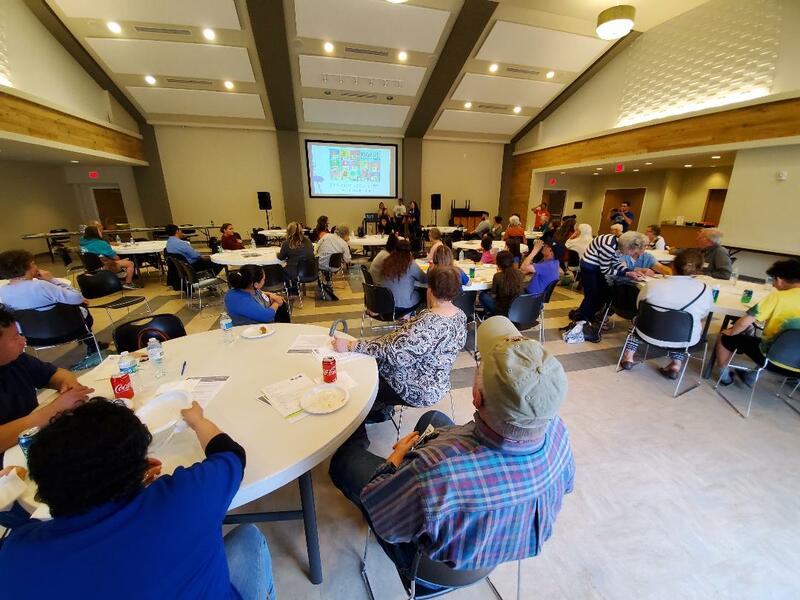 IPL & OTOC Leaders collaborated with The National TPS Alliance of Nebraska Saturday April 6th for a bilingual workshop at First United Methodist Church. 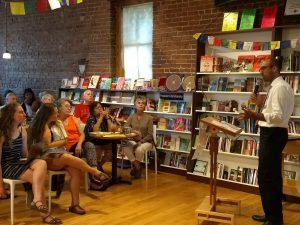 The event hosted over 75 people who were inspired by live testimonies of real TPS holders. Temporary Protected Status is an immigration status given to those who can not return to their countries of origins due to arm conflicts, natural disasters, epidemics, or any other temporary special conditions. 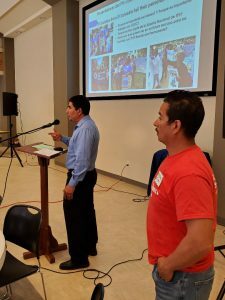 Both English and Spanish speakers who attended the event learned about the American Dream and Promise Act of 2019 which was presented to the House and the Dream Act and Secure Act in the Senate, which would provide long-overdue stability for Nebraska families and communities by offering a pathway to Permanent Residency and eventually Citizenship in the US for both DACA and TPS beneficiaries. 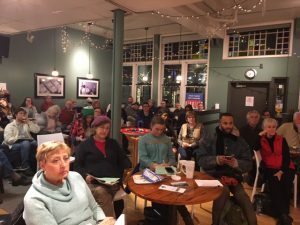 The event focused on 3 action steps that each attendee volunteered to take outside of the workshop that would create impact and awareness in our city. Sharing the National TPS Mission and the testimonies of TPS holders to other Organizations, congregations, and schools, helps show light to this economically impacting issue. This past Friday, over 100 leaders from OTOC and the TPS Alliance of Nebraska gathered to hold a Prayer Service that celebrated both culture and faith for the 9 members of the Omaha community who are representing Nebraska at the TPS Summit in Washington DC from February 10—February 13. The Opening prayer and focus statement were given bilingually by Pastor Juan Carlos Veloso, along with Fr. Chris Saenz, who gave the Blessing to the travelers. The group traveling to Washington DC was made up of 6 TPS holders, 2 seniors in high school who are the US citizen children of TPS holders, and a Creighton University student. The group flew to Washington DC on Saturday and is currently participating in advocacy, leadership training, and the March for TPS Justice on Tuesday, Feb 12. Seventy-five diverse community leaders met on Nov. 27 to learn about and discuss the state of affordable, quality housing. 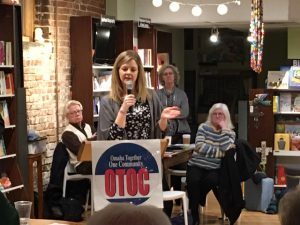 OTOC leaders presented some solutions like a rental property and landlord registration, a housing ombudsman, an inspection pilot project, and , the most effective, a rental property inspection ordinance. 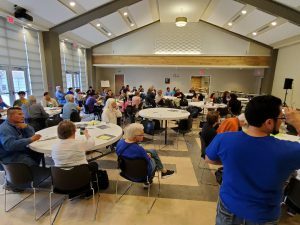 The lively group had a good conversation about what these policies would look like and about the larger scope of affordable housing in Omaha. 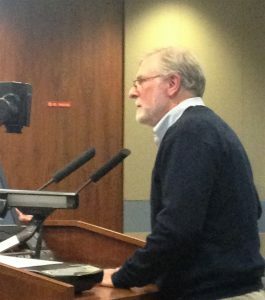 See this article to learn more about OTOCs recent work on housing and an inspection ordinance. Amanda Brewer, Executive Director from Habitat for Humanity, shares what she sees in her work with homeowners transitioning out of substandard rental properties. Theresa Hunter, Executive Director of Family Housing Advisory Services explains the unfair and unlawful discriminatory practices used by some landlords and how an inspection system could help. “Rep. 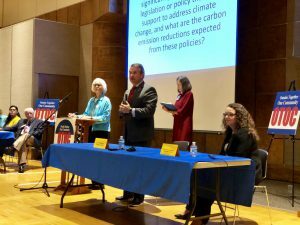 Don Bacon, R-Neb., and Democrat Kara Eastman faced questions Monday on immigration, health care and a changing climate in front of a standing room-only crowd of more than 350 people.“ In fact, nearly 400 people signed into the 2018 OTOC Accountability Session with candidates for US Congress and OPPD at St. Leo Catholic Church. Supporting the newly proposed SD 7 setting a goal to reduce carbon emissions to a level 20% below 2010 levels by 2030. Committing to continue the protections under the ACA for mental health parity and pre-existing conditions. Leaders from across the city welcomed the TPS Journey for Justice Caravan on September 4th and 5th. OTOC and the Institute for Public Leadership, along with Tri-Faith Initiative, the Columban Fathers, and the Schlegal Center for Service and Justice sponsored several events to let the Omaha community know what TPS is and invite them to act with us. Temporary Protected Status (TPS) is a legal immigration status for people in the US who fled environmental disasters such as hurricanes or civil unrest in their home countries. Over 300,000 individuals have TPS which has been in place for decades with no serious legal problems. The Department of Homeland Security has effectively ended TPS for almost all of these tax-paying law-abiding persons, including 1,500 Salvadorans living in Nebraska. Their status will end in 2019 unless Congress acts. We invite YOU to take action for the TPS holders in our community and across the country by calling your representatives today! Click here for a script. 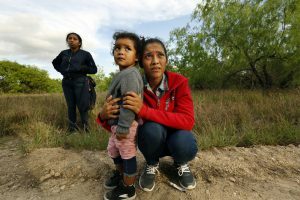 Lirio Funes, 20, holds onto her daughter Melissa Funes, 2, just after being detained by local officials after crossing the U.S. — Mexico border on March 15, 2018 in McAllen, Texas. OTOC Immigration and Refugee Action Team leaders Kathleen Grant and Jeanne Schuler have published an op-ed in the Omaha World Herald calling on Nebraska’s senators and congressional representatives to take action for mothers and children who are facing poor treatment and separation. To read their article in the Omaha World Herald, click here. Attorney General Jeff Sessions and the Department of Homeland Security admit that the US is separating children from their parents at the border to deter immigrants. The Department of Health and Human Services, which oversees the Office of Refugee Resettlement, has acknowledged there were “approximately 700” children separated from adults at the U.S. border since October, 2017. Further it states that over 100 of these are less than 4 years old! Mr. Sessions repeated again on Monday (5.7.2018) that this will continue. The Department of Homeland Security has ended Temporary Protected Status for almost 60,000 Hondurans. They are now forced to relocate to a country whose murder rate is among the highest in the world. The Trump Administration has repeatedly vilified the Central American women and their children who are fleeing violence to seek asylum in the U.S. Surely 200 women and children fleeing violence do not pose a threat to a country of almost 300 million. Immediately stop separating children from their parents – and reunite children with family members now! Treat all asylum seekers according to the United Nations Refugee Accord and U.S. law. On Monday January 8th, Homeland Security announced that Temporary Protected Status (TPS) for Salvadorans will end on September 9th, 2019. Over 200,000 Salvadorans and their families are now at risk, so it is now up to Congress to find a legislative solution. 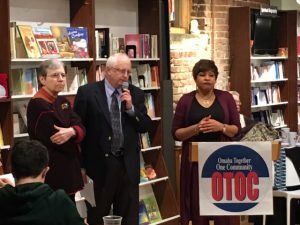 OTOC calls on Congressmen Bacon and Fortenberry, Senators Fis cher and Senator Sasse to get involved and craft a solution which provides permanent residency for law abiding, productive residents who have lived among us for many years with only Temporary Protective Status. 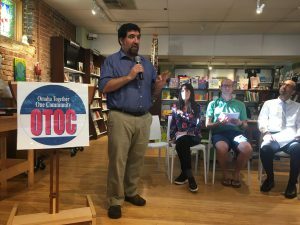 In the past two months, OTOC Action teams have been present in city council meetings to testify on different issues. 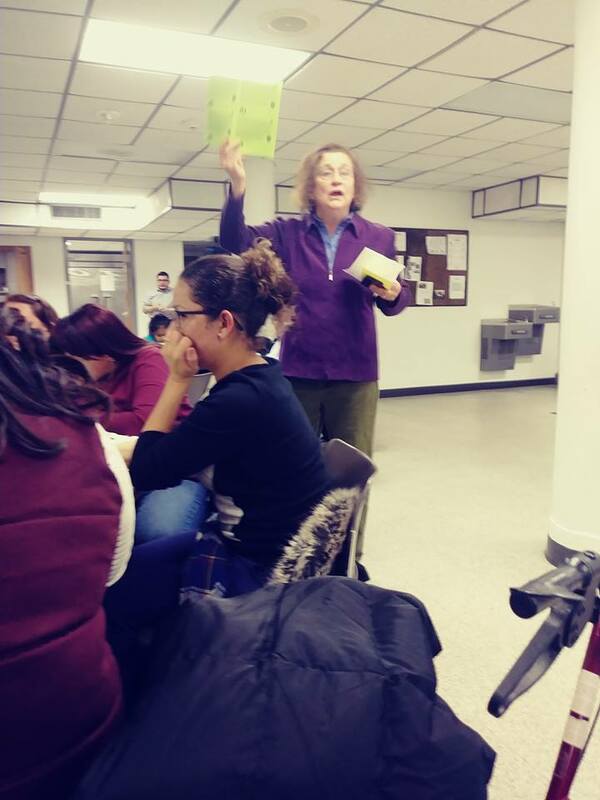 On October 17th, Jean Reiner of St. Stephens and the Immigration and Refugee Action Team testified about a Resolution for Omaha City Council to urge Congress to act swiftly on behalf of Dreamers and create a plan to protect DACA recipients. The Council voted in favor of the resolution after OTOC and many other individuals and organizations testified in favor of the resolution and City Council’s support of people in Omaha with DACA status. City Council passed the Resolution with five in support, two passing. Omaha City Council voted 7-0 on Tuesday Nov 21 to support LB 194 or similar legislation to better regulate Pay Day Lending. CM Pete Festersen introduced the resolution for the City to include this support in their Priority for the 2018 Unicameral Session. 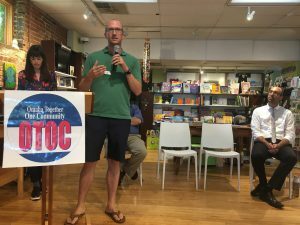 Jim Morely of Urban Abbey and the OTOC Predatory Lending Team testified that OTOC has ahad several house meetings in the last month and an Issue Cafe at Urban Abbey last Friday, all about Pay Day Lending. 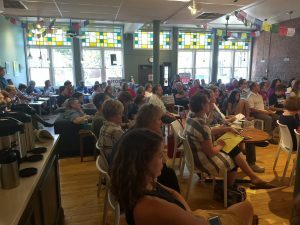 He said that over 90 people have attended these sessions and most were amazed that lenders are permitted under Nebraska law to charge so much in fees and interest and to trap borrowers in a cycle of debt. 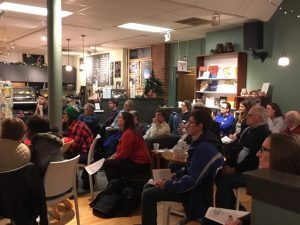 OTOC leaders have been working with Omaha’s Salvadoran people who are recipients of Temporary Protected Status (TPS), an immigration status given in 2001 because of the major earthquake in El Salvador. These families have been living and working in Omaha since then, renewing their TPS status every eighteen months. Now their immigration status is threatened as the White House Administration threatens to cut their protection along with many other countries that have TPS in the US. To learn more please click HERE. On November 9, Nebraska Lutheran Bishop Brian Maas, Catholic Archdiocese Chancellor Rev. Tim McNeill, and College of St. Mary President Maryanne Stevens, joined OTOC in an OWH Guest Column asking for an 18-month extension of Temporary Protective Status (TPS). 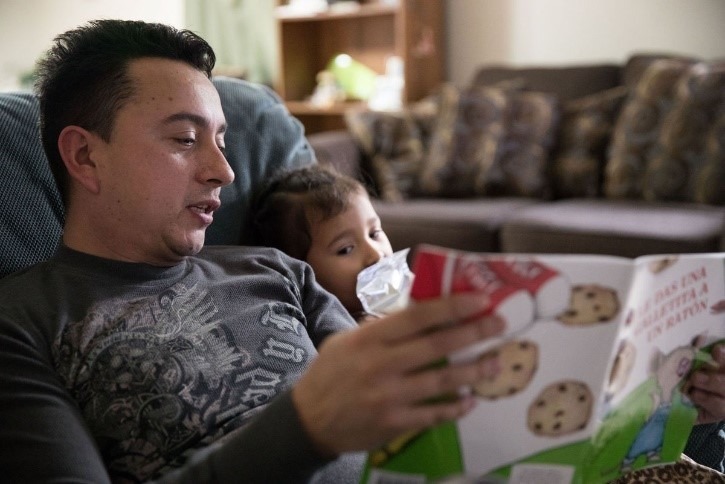 On November 4, OWH feature writer Erin Grace wrote a front-page story about Wilfredo Rivera, a 20-year resident of Omaha who is a supervisor in a meat packing plant, homeowner, church member and father of U.S. citizen children. Erin met Wilfredo though OTOC and invited the public to hear Wilfredo and others at a November 6 OTOC/IPL Issue Café at Urban Abbey.